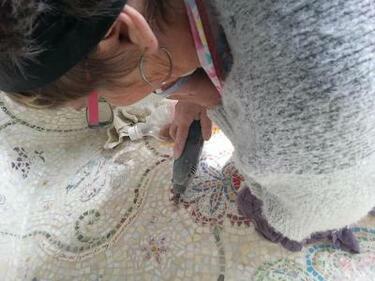 A photograph of Sharon Wilson removing excess grout from Crack'd for Christchurch's armchair mosaic. 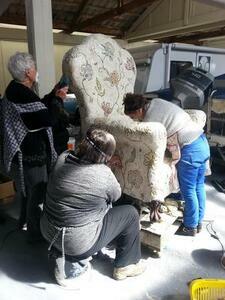 Crack'd for Christchurch comments, "One the grout was complete, the whole chair had to be cleaned of excess grout, polished, and sealed. A dirty job with dremmels and various scrapers."